This is the gourmet patisserie of the world-famous French brand Thé de Joël Robuchon. They offer a range of alluring goodies and sweets, from cakes and macarons to chocolate and bread, all housed in their sleek and eye-catching first-floor bakery. 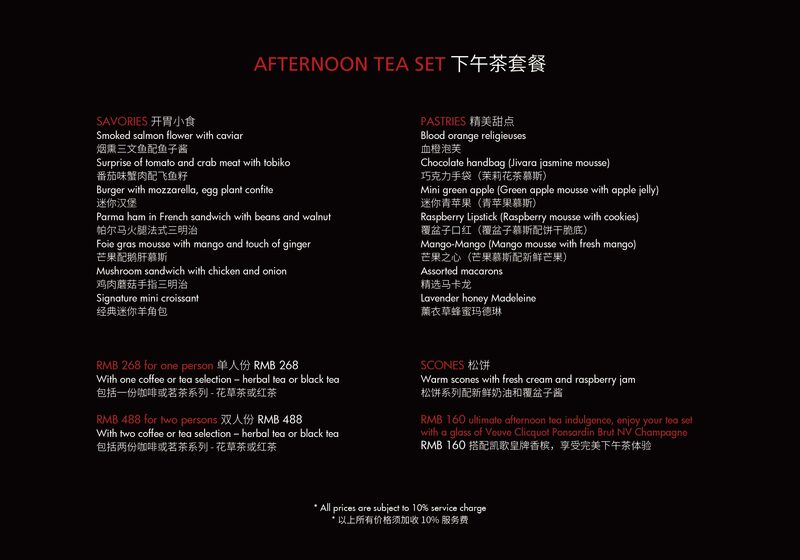 On the second floor if their tea salon with high ceilings and spaced out tables, flooded with natural light, where you can enjoy their pristine afternoon tea set, which comes with an assortment of savories, sweets and scones.